An article in today’s Times reports that the movie rights to P&P and Zombies are expected to be sold this week. Desperate for new ideas, studio chiefs hope “P&P&Z” will mark the bloody birth of a feral offspring of classic British literature: “monster-lit”. They can sell rights. Whether it actually gets made, of course, remains to be seen. Has everyone already forgotten the whining about how expensive it is to make period films? Add zombie makeup to it and it gets really pricey! This weekend Seth Grahame-Smith, the author of P&P&Z who is based in Los Angeles, revealed how he and an editor at Quirk Books, an independent publisher, developed a diagram tracing connections between seminal period novels to cult movie genres, including robots, vampires and aliens. At the risk of being called a Period Pedant (who are we kidding; we ARE a Period Pedant), the Blankshires were a militia regiment, by definition a domestic unit; therefore, England was exactly where they were supposed to be. The regular army (which Wickham joins at the end of the novel) were the ones who would go off fighting the French. Wow, a Spoilsport Award? For us? Gee, thanks! From then on it was easy to imagine Bennet and her four sisters as zombie slayers, trained since childhood in the deadly arts of Chinese kung fu, and Fitzwilliam Darcy as a promoter of the socially superior ninja skills of Japan. Well, at least there are ninjas. Other talent agencies are pitching their own slate of monster-lit titles. They include a version of Emily Brontë’s Wuthering Heights, where Catherine, the deceased heroine, returns as a Japanese-style ghost not only to haunt but also to terrorise Heathcliff. But isn’t that how it…actually…goes…oh, never mind. 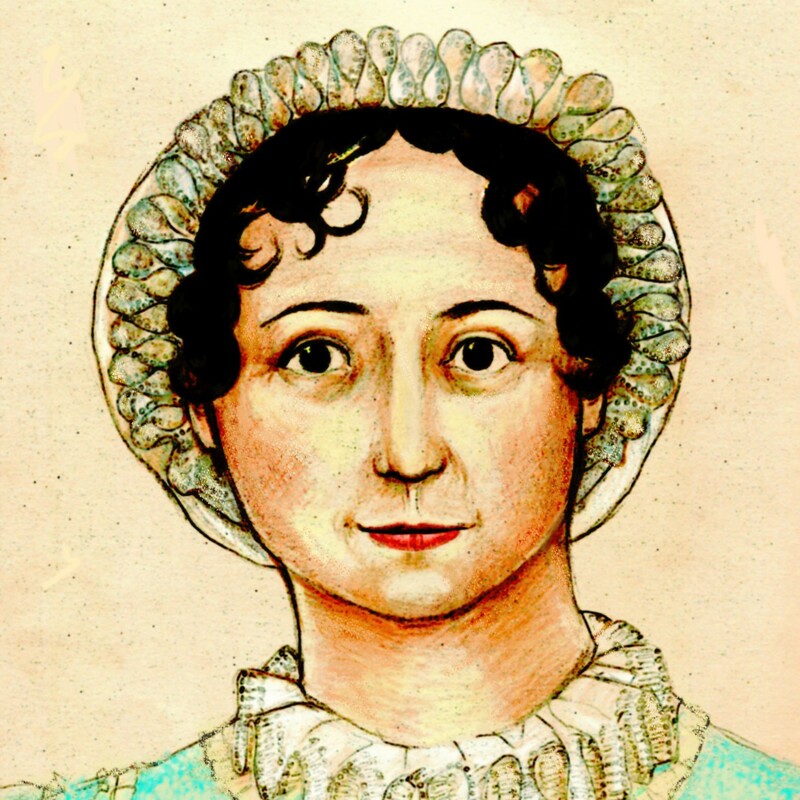 Gentle Readers, we believe we are witnesses to history: the shark being jumped on Jane Austen. Maybe now they’ll leave us alone, do you think? But no; like a, well, zombie, the forces of Popular Culture will rise from an uneasy grave and eat our brains with a titanium spork. Pray regard the coda to this article. THE identity of a mystery suitor who wooed Jane Austen during a holiday romance is to be revealed in a new book. The suitor’s existence is known from family letters but neither his name nor the town where he met her has ever been established. The name of the Rev Samuel Blackall, a Cambridge academic, appears in Austen’s letters. Now biographer Andrew Norman, a former GP, claims to have traced Blackall to a tryst with Austen in Totnes, Devon, in 1802. Did anyone actually read the stuff Jane wrote about Blackall in her letters? And didn’t Cassandra say the guy died? He might have been there, but if there is a Mysterious Suitor-by-the-Sea, it ain’t Blackall. You can practically smell the desperation. We despair, we really do. Thanks to Alert Janeites Lisa, Laurel Ann, and Mrs. Mish for the link.